Thoughts: I should have known better. MLM. And what is my understanding of business? 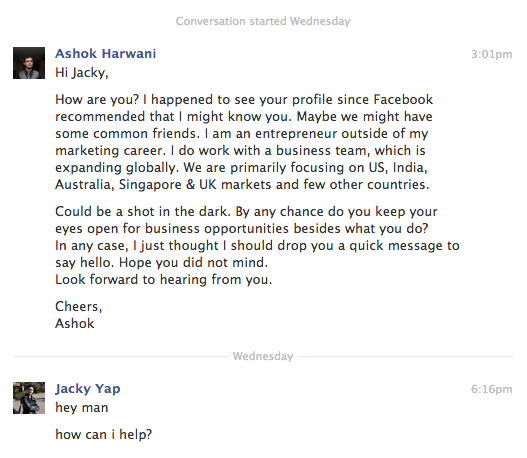 I dont really know how to answer this. Decision: Rejected straight away at the first sign of MLM. 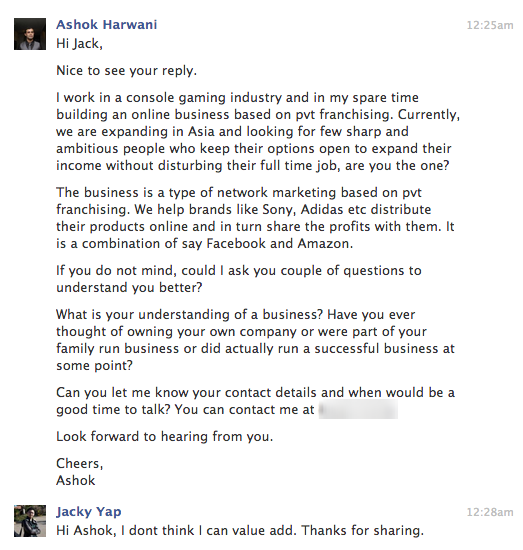 Thoughts: Asked me if I know anyone who might be interested but never disclose anything at all about what the “business” is. How can I recommend/How can I get my friends involve into something without knowing what it is? 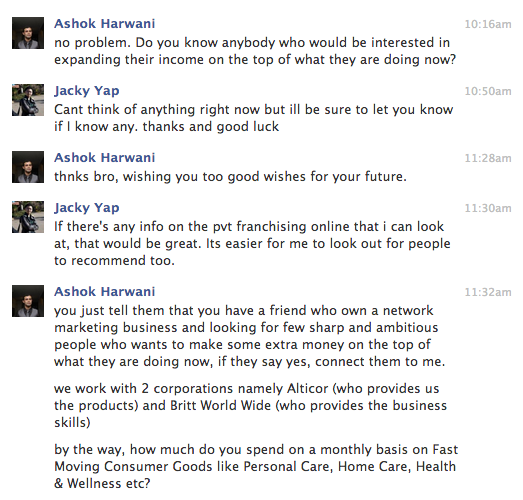 Of course, Ashok later disclosed his “business”, and what do you know: Alticor, or more commonly known as, AMWAY. 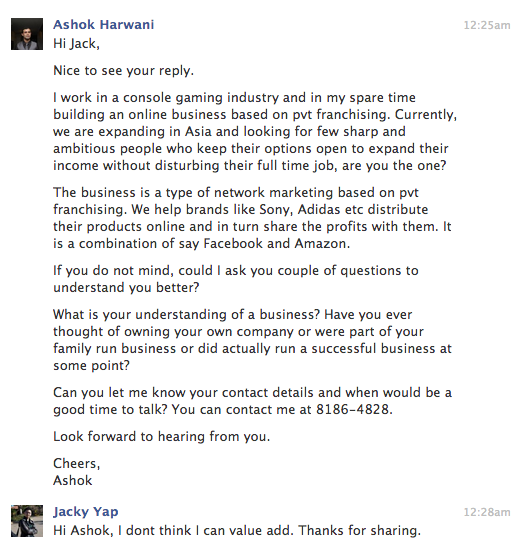 Until today, it still amazes me that they still survive, and there are still people who evangelize about their products, looking around for “sharp and ambitious” individuals to join them. Amway has got to be the best MLM company to date. Amazing.